Like Engineering, Savitribai Phule Pune University also has revised the exams of Second and Third Year B. Com. students. As per the notice on the official site, The change is applicable to both 2008 and 2013 pattern course students. The 2004 pattern course student have to follow the timetable of 08 pattern exam. 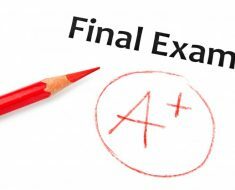 Now, the exam will start on Monday, 30/3/2015 and will end on 10/4/2015. The practical exam of 2008 course will be conducted between 18’th March 2015 to 30’th March 2015. In case of B com 2013 pattern course, the theory written exam will start from 30’th March 2015 and end on 10’th April 2015. From observation, we can see that the dates are same as 2008 & 2004 pattern exams. But here, the practical exam of SY Bcom 2013 pattern course will be conducted between 11’th to 17’th March 2015 by University of Pune. Since the changes are new, the links in the previous articles may not work as expected so, if you experience the trouble then please let us know just by commenting. See you in the next change. Best of luck! Just rock in Pune University with great marks!!! We don’t have the information of exact date but since the TYBCOM results are announced, you can expect SYBCOM results soon in upcoming weeks.